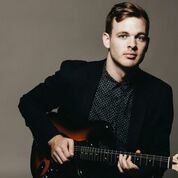 His killer vocals and profound music abilities as a multi-instrumentalist, combined with a soulful, bluesy voice, made Clark Beckham the 2015 American Idol season’s fan favorite who outsold every other contestant combined on iTunes. Clark’s mom is a music educator, and after hearing about Music Connection’s mission to bring music education to expanding numbers of at-risk and special needs children, he was excited to come on board to offer his talents in this special benefit concert. The event will also feature a cash bar and live auction at THE CASTLE THEATRE in Bloomington, Illinois. Music Connections Foundation (MCF) believes that an investment in children is an investment in our future world, and has, for 25 years, offered quality early childhood music education to thousands of children in Central Illinois. MCF became a not-for-profit in 2008 to expand its mission and reach to larger numbers of children, regardless of ability or socio-economic situation; they partner with SPICE of MarcFirst, Western Avenue Community Center, The Baby Fold, Mid-Central Community Action, The Neville House, Heartland Head Start, Heritage of Care, and Single Mom’s Morning Out at Evangelical Free Church to bring Kindermusik, the world’s leading music and movement program, to at-risk and special needs children birth to seven, and also to seniors in their “Kindermusik with Grandfriends” program.